What they don’t mention is that the fellow in the picture is named Marcus Googlethorpe. Offering to answer any reasonable question telephoned to its office, a firm dealing in general information is said to have set up business in New York City. 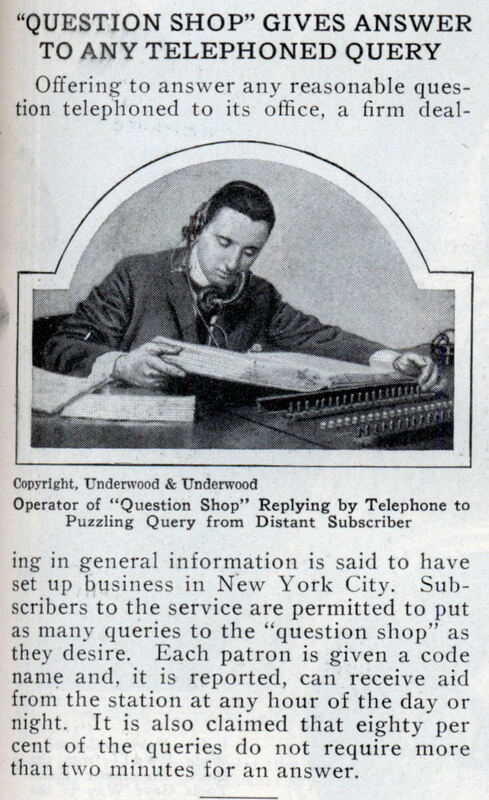 Subscribers to the service are permitted to put as many queries to the “question shop” as they desire. Each patron is given a code name and. it is reported, can receive aid from the station at any hour of the day or night. It is also claimed that eighty per cent of the queries do not require more than two minutes for an answer. Back in pre-net days I used to have all the subject phone numbers for the SF library question desk but they did away with it when Google, et al. came along. I too used my local public libraries “help desk”. 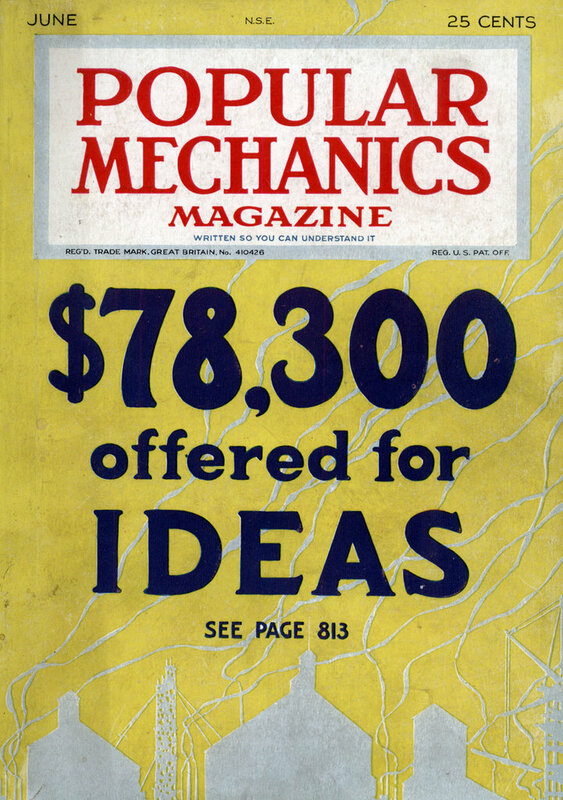 It was also a great resource to settle bets like; how many floors in the Empire State Building? It’s who you called when you needed to know the GNP of Liberia for a school report. 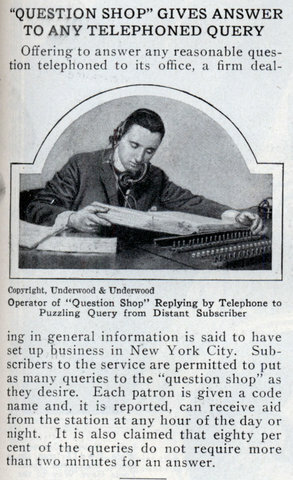 I wonder what reference resources the operators of the Question Shop had on hand? i donnt understund english good.please in GREECE end i will answer.